As we celebrate our Opening Day here in Cincinnati, Ohio, we know that many of you will be celebrating your own team’s Opening Day in the coming days. DeansCards.com got in our 2011 Topps Opening Day cards just in time for the first pitch! The 2011 Topps Opening Day base sets contain a total of 220 cards. 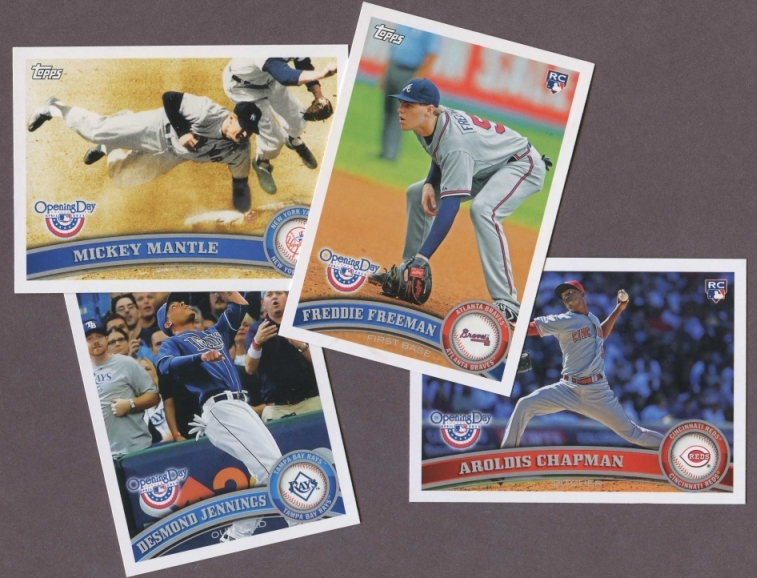 The 2011 Opening Day cards are available for purchase both individually and as a set on our website.